The Independent National Electoral Commission, INEC, has said that anyone thinking it would organize a special ceremony to issue them their Certificate of Return will be living in fool’s paradise. The commission was responding to questions concerning the Governor of Imo State, Rochas Okorocha, through Oluwole Osaze-Uzzi, INEC’s director of Voter Education and Publicity, who appeared on Channels Television. The commission said there would be no such preparation for anybody whose name did not appear on its list of successful candidates in the 2019 general elections. “There is no special ceremony for anybody. I think we should get that one quite clear. Anybody thinking otherwise will be living in fool’s paradise.” He said. Osaze-Uzzi was asked to respond to a comment by Rochas Okorocha. 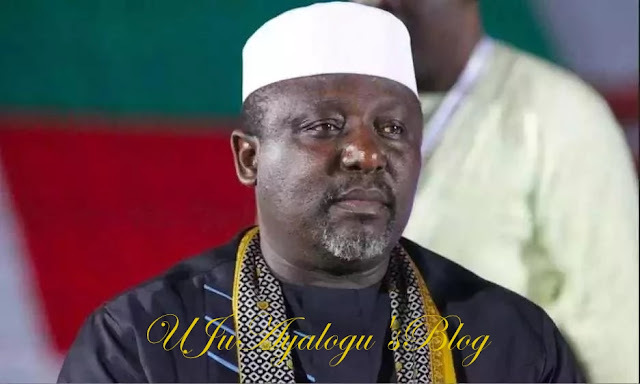 Okorocha was declared the winner of the Imo West senatorial election. However, the presiding officer, cried out that he was forced to make the declaration.